Our nationally recognized counseling program is currently accepting new clients! Here at Riverstone Counseling, our goal is to create an environment that fosters healing and growth. We believe we can empower our clients to make positive and lasting change in their lives. We specialize in working with teenagers, young adults, and their families to help them identify and work with their strengths to achieve their goals. Our counselors are trained in EMDR, a proven method for resolving traumatic experiences. Our counselors are trained clinical mental health/clinical social workers and substance abuse counselors who use a developmentally appropriate, client-centered approach to meet youth and their families where they are at with respect to their readiness to change. Teenagers and adults ages 12-30 and their families, if desired. Our counseling program is open to the public and takes most insurance, including Medicaid. Interpreters available on request. If you are in crisis and are not a Spectrum client, please call First Call at the Howard Center at (802) 488-7777. If you are already a client, call us at (802) 864-7423 x310 during business hours, or (802) 350-6748 after 4:30 PM. I believe that at the foundation of change exists self-compassion and self-acceptance. From this foundation we allow ourselves to accept who we are at the present moment as well as acknowledge areas we need to change. My hope is that through our work together we will create an open and safe space that will allow you to cultivate self-acceptance, reduce your suffering and enable you to make the changes you want in your life. My framework stems from a client-centered lens, while utilizing evidence based practices including motivational interviewing, cognitive behavioral therapy, EMDR, and mindfulness based cognitive therapy. I specialize in working with adolescents, young adults and families in a variety of issues including: trauma and PTSD, depression, anxiety, and substance use. With Riverstone Counseling since 2012, I received my master’s degree in Clinical Mental Health Counseling from the University of Vermont. I am a dually licensed clinical mental health counselor and substance use counselor. In my practice I address weight concerns, binge eating, overeating, chronic dieting, body image challenges, and various nutrition-related health concerns such as digestion, fatigue, mood, immunity and others. My work combines the new fields of Dynamic Eating Psychology and Mind-Body Nutrition. The skills I utilize are a combination of practical coaching techniques, results-oriented psychology, clinical nutrition, body-centered practices, mind-body science, and a positive and compassionate approach to challenges with food and health. By eliminating all the “shoulds and shouldn’ts”, I focus on what’s right for your body and your personal style. As we work together in this way, eating and health issues become a place of exploration. Instead of seeing such challenges as the enemy, they become opportunities for growth and self-improvement. My work is to help clients reach their highest goals not by programs that punish, but through strategies that nourish. I hold a Master’s in Psychology, a Master’s in Education, and, although new to Riverstone, I have over 10 years of post-graduate clinical experience working with youth and families. My practice is founded in the belief that with compassion, openness, empathy, support, and connection, healing is possible. I will work with you to create an environment that is safe and non-judgmental, to help you work through difficult situations. In our work together, we will focus on honesty and trust in order to break through shame and guilt. In my practice, I meet individuals where they are at. Your needs and goals will be at the center of our therapy process. I specialize in working with adolescents, young adults and families in a variety of issues including: trauma and PTSD, depression, anxiety, and substance use. Our work together will be grounded in practices that are proven by research to help, including motivational interviewing, cognitive behavioral therapy, psychodynamic psychotherapy, EMDR, and mindfulness. But I also bring creativity and flexibility to my practice: life is complicated, and the more tools you have, the easier it will be to overcome life challenges. I earned my B.A. in Psychology from Green Mountain College and my M.A. in Mental Health Counseling with a concentration in Substance Abuse Counseling from Antioch University of New England. I believe a therapeutic relationship grounded is trust, respect, genuineness, openness and connection. Together, we will build a safe and nonjudgmental space that allows you to be honest, reflective, and work on what is important to you. It is critical that my clients feel heard, understood, respected, and that your needs are central. I will empower you, as the expert in your experience, to look at what you’d like to change and build on your strengths to achieve your goals. My theoretical approach is informed by Person-Centered Therapy, developed by Carl Rogers who said “when I accept myself just as I am, then I can change”. Additionally, other theoretical frameworks that inform my work include Motivational Interviewing, Cognitive-Behavioral Therapy, Feminist Therapy, and trauma-informed practices. I specialize in working with youth, young adults, and families in a variety of issues including depression, anxiety, PTSD, substance use, family dynamics, and stress. I have been with Riverstone since 2017, and graduated with my master’s in Clinical Mental Health Counseling from the University of Vermont. My practice is affirmative and liberatory—all are welcome. I am a master’s level counseling intern with Riverstone Counseling. I received my B.A. in Sociology with a minor in Studio Arts from the University of North Carolina at Asheville, and am currently working toward my M.S. in Clinical Mental Health Counseling at the University of Vermont. Prior to joining Riverstone, I worked in a variety of settings including wilderness therapy, therapeutic early education, and with an alternative high school program here in Burlington. In my work with clients, I strive to create a safe and open environment where we can work together to address life challenges and work towards each individual’s personal goals. I honor the strengths and uniqueness of each client, and support growth by drawing from various counseling approaches including Cognitive Behavioral Theory, Internal Family Systems, and Motivational Interviewing. My approach is founded in psycho-dynamic and feminist perspectives, and is influenced by my personal Mindfulness practice. I am a master’s level clinical social work intern with Riverstone Counseling. I received my B.S. in Psychology from Colorado State University in 2012. Since then, I have worked with teens and young adults through community agencies, wilderness therapy and residential treatment. 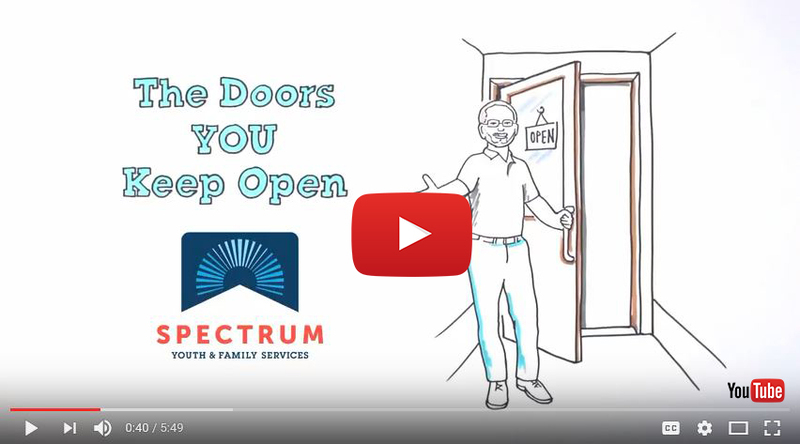 Before coming to Spectrum, I was a residential counselor at NFI Vermont’s Hospital Diversion Program, which provides crisis stabilization services for teens. Prior to my time at NFI, I worked as a wilderness therapy field guide with teens and young adults in a program based out of Waitsfield, VT. I believe that the therapeutic relationship can provide a warm and nurturing environment for individuals to explore, reflect and grow. In my work, I draw from Narrative Theory, Cognitive Behavioral Theory and Mindfulness approaches. Questions, or want to talk to us first? Call us at (802) 864-7423 x310. Please bring your completed form to our first appointment at our office at 31 Elmwood Avenue in Burlington, just after the post office on the left. Please do not email this form.